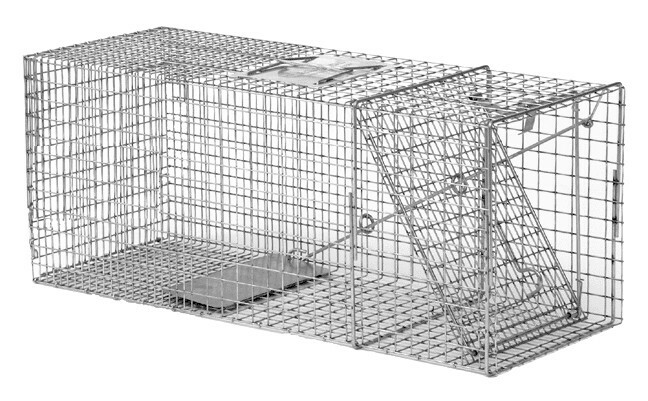 TRAP DESCRIPTION: 11"W x 12"T x 30"L. This lightweight commercial grade design is ideal for trapping small to medium animals. Built for professionals, this trap features a strong wire construction, excellent trip mechanism and a locking front door. This trap can also be sold with a cover. 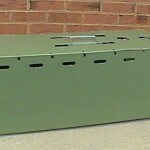 With the cover installed, this trap can now function well for skunk. The cover is made of plexi-glass and just fits over the trap frame. 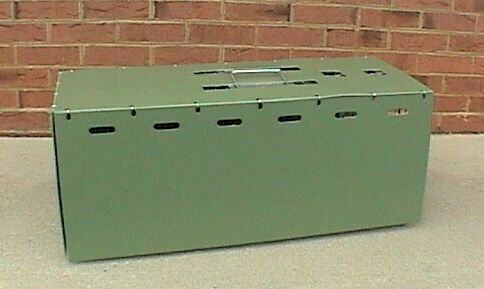 No mounting is required; the handles on top of the trap will slide through the cover so you can move it, set it and utilize it with no change in trap performance. However, the cover will prove helpful by both keeping the trapped skunk comfortable and calm as well as keeping in place a barrier that won't let it scent you. Comments on LIVE TRAP 11" X 12" X 30"